So when I was cleaning my room recently, I found a piece of paper with two ideas (I believe for this blog) written down on it. I’m still not sure what I mean by the second one, so I figured I’d give myself a while to work on that and write about this first one for now. Because honestly, I think it’s a fascinating part of how the human mind works, especially for someone like me, who uses memory and experience to write from a lot. I’ve had the opportunity to do a decent amount of travel all over the world, and see a lot of excellent places. I visited England and Scotland after my college graduation, and then have been to Ireland through graduate school. I went to Honduras on three separate occasions in high school for church-based mission trips, and Puerto Rico once for a different church-based trip. I’ve gone all over the United States and Canada, and still hope to travel more. But after the trip is done, even with photographs and journals, it’s incredibly hard to believe that I’ve actually been there. I mean, I have video that I took in Dublin, while wandering around hassling birds with a good friend of mine. 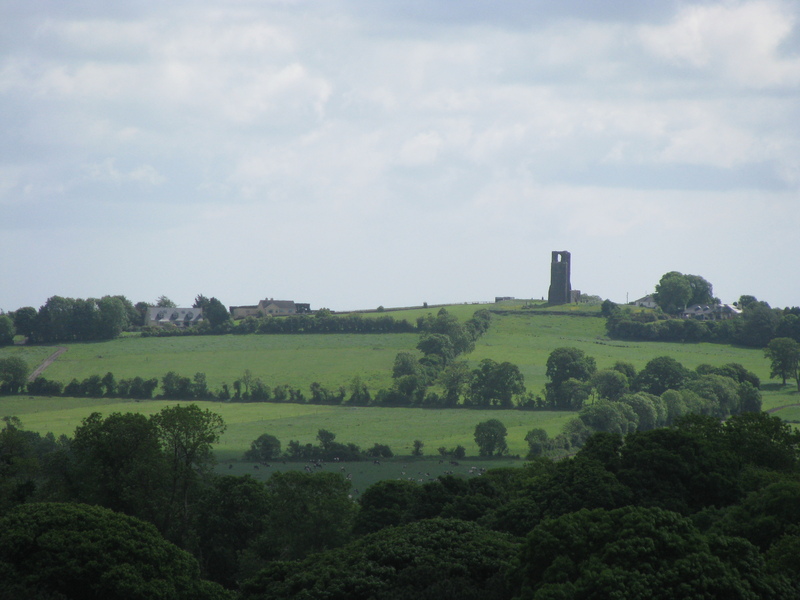 I have photographs of the Hills of Tara, and a bar of soap from the apothecary mentioned in Ulysses. It’s sitting, right behind me. I have a travel clock that’s still set to Dublin time because I’m too lazy to change it. I have a soundtrack that I bought from the theatre of a show I saw on the West End. Photographs of me near a canal in Milton Keynes. Pictures from the orphanage in La villa de San Francisco. And yet when I think about it, it seems utterly surreal. How did I actually go to Dublin? Was I really sitting in the cafe famous for inspiring Harry Potter in Edinburgh, looking up at Edinburgh Castle and going “yeah, I can see that inspiring Hogwarts”? So people tell me that I should go places that I want to write about, so that it can be more realistic. I agree with this. Flying to England and seeing what London actually looks like will help me write my draft of Rather Large Puddle significantly better. I hope to fly out to Las Vegas sometime in the next year, so that I can accurately write the Lost Capitol for Son of the Revolution. I’m using my fiasco with flying to Dublin as the basis of Jade’s flight to London in Puddle. Real life can absolutely build our writing, and it’s important to use what we know. Like it’s said, write what you know. I don’t have to know what life as a vampire is like in order to write Alistair and his friends. But I can talk to my friends, who are twenty-something guys living in Philadelphia, and see what AC’s nightlife would look like. I can make reference to the fact that there is a band that plays live regularly out there. I don’t need to be going to college in London to know what Jade’s life as a high school senior is, and how hard it can be loving someone who can’t quite love you back. It’s good, sometimes, to intentionally walk down those streets in our mind again. Bring back the memory of what it felt like, climbing up the hills in rural Ireland. (Gods, I want to be in better shape by this summer when I go back…) Remember the hassle of figuring out how to get a cab in Edinburgh–and then how happy you were to have that knowledge by the time you got to Dublin. (If you were ever going to get to Dublin…) How beautiful and old city can look, all spread out in front of you, when you’ve never quite seen anything like it before. Travel helps us keep our sense of wonder. I think it’s important we don’t lose that, for the times we’re stuck at home, surrounded by snow and ice and wondering when it will ever be green again. We will always have the green of other times in our memories. The green of Ireland in summer.